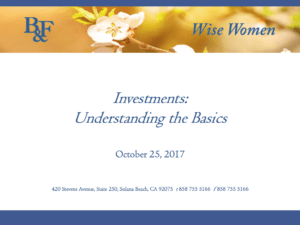 At the Wise Women Luncheon on October 25th, Monica Ma presented Investments: Understanding the Basics. What are stocks and bonds and how do they work? 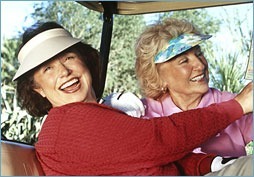 Is there such a thing as a risk-free investment? Why do I need both stocks and bonds in my portfolio? About Monica Ma: In addition to advising clients on investing and financial planning, Monica Ma CFA®, CFP®, CSA® leads Blankinship & Foster’s investment committee in researching and monitoring the investments used to build our client’s portfolios.